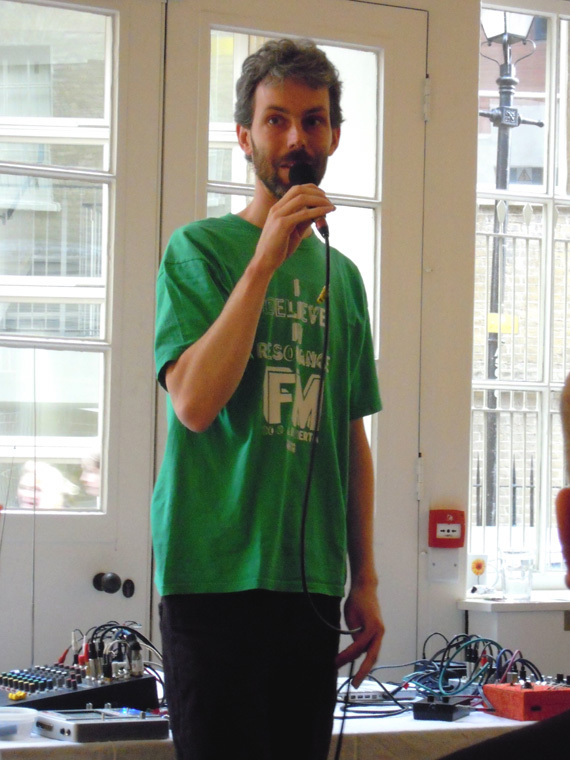 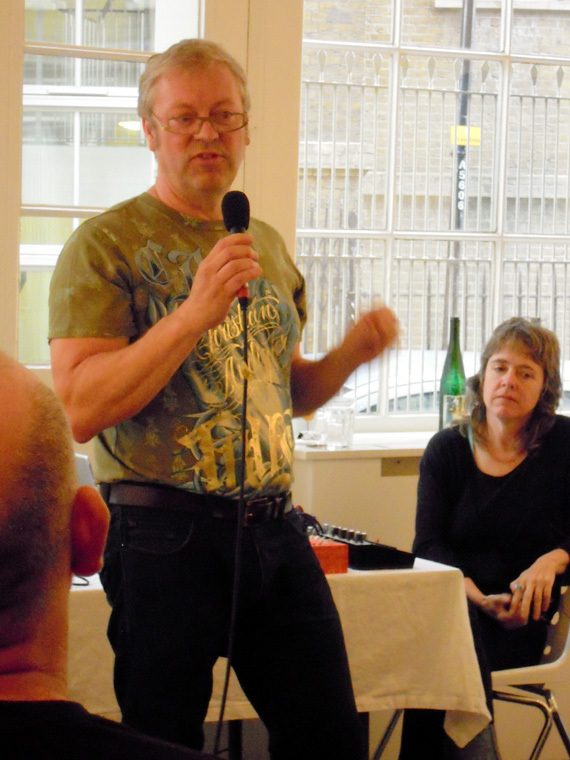 Resonance FM’s 15th Birthday Party offered the opportunity to try out a new performance in which Knut sits still on stage with hearing aids in his closed hands, feeding back at frequencies determined by the cavity size of the hands. 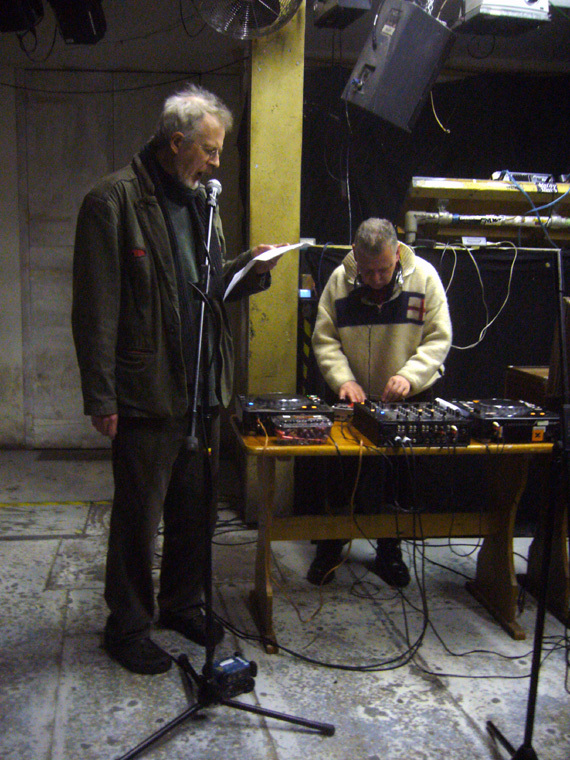 The evening with a Resonance typical wide range of performances also featured The Honey Hahs, Tom Paley (RIP), Adesh Sundaresen, Locus, Errollyn Wallen and a host of poets. 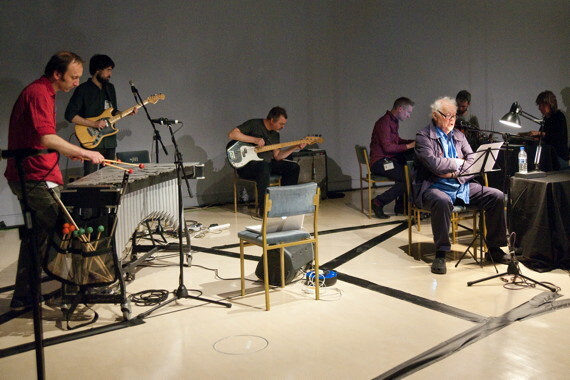 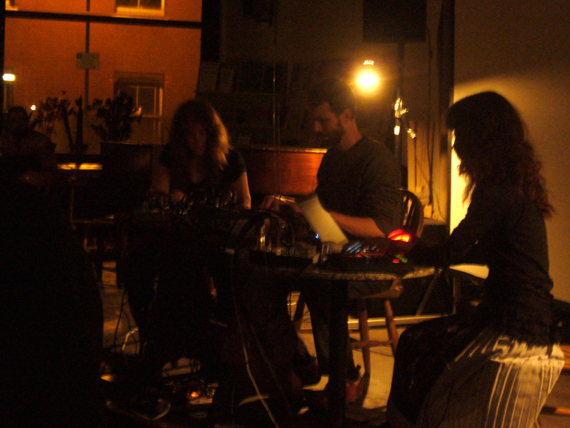 Our tour with Haco came to an end in London with a concert at Cafe Oto (click on the left arrow to access more photos by Fabio Lugaro) and a Clear Spot on Resonance FM which is archived below. 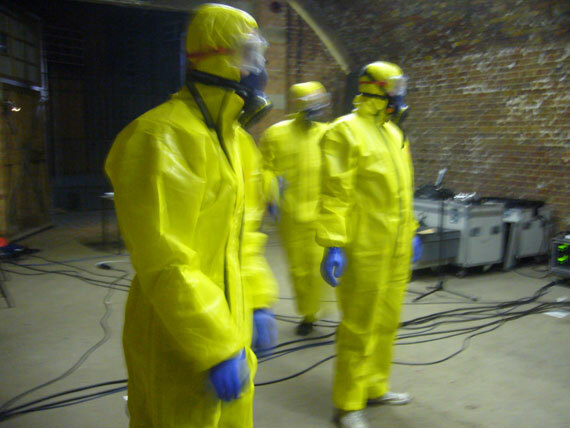 All recordings from the tour will soon be looked at for a potential future release. 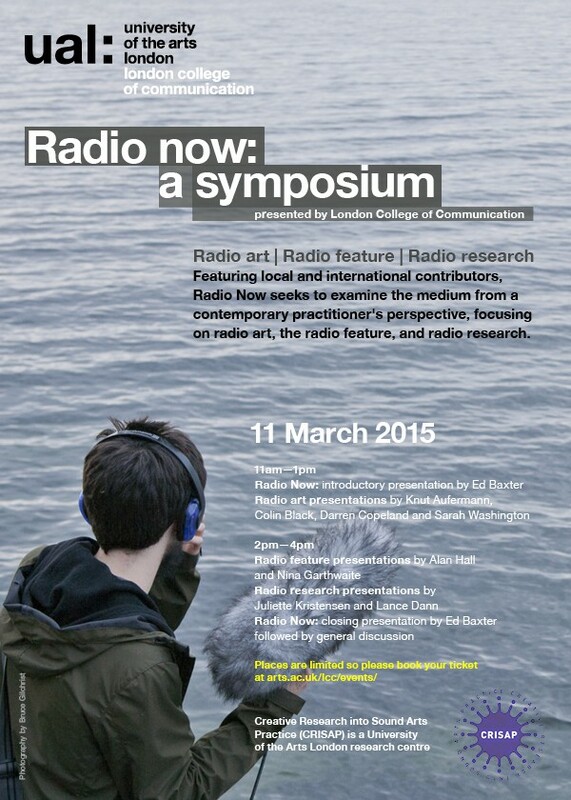 In between these performances we gave talks at the Radio Now symposium hosted by Ed Baxter at the London College of Communication, meeting new and old friends from the world of radio art. 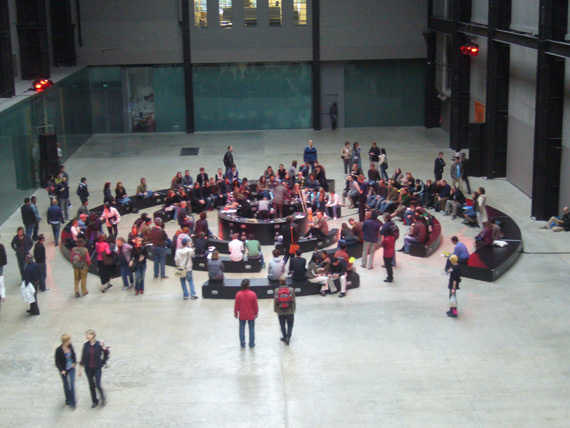 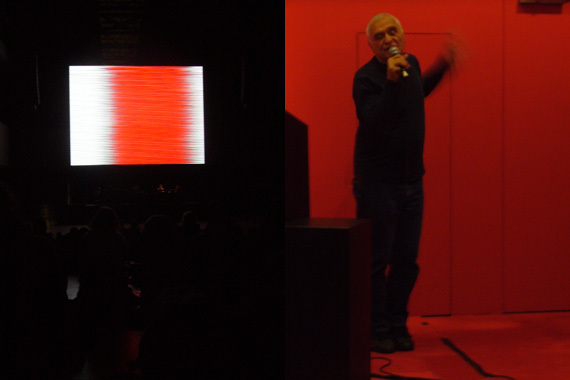 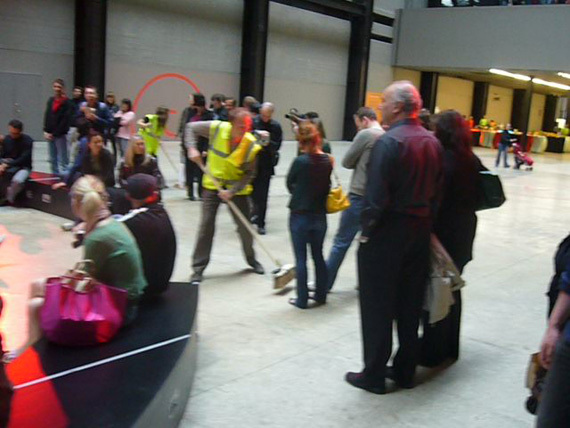 We went to take part in some events at the Tate Modern. 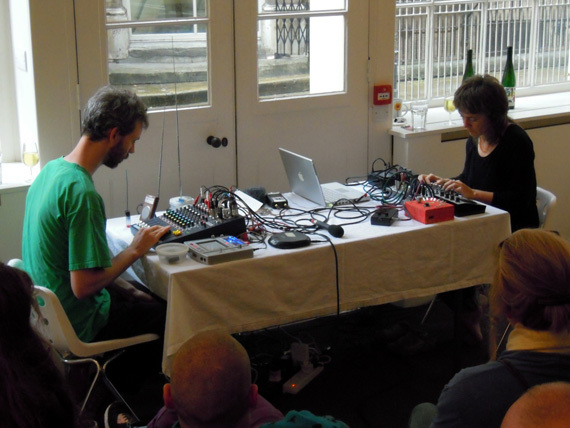 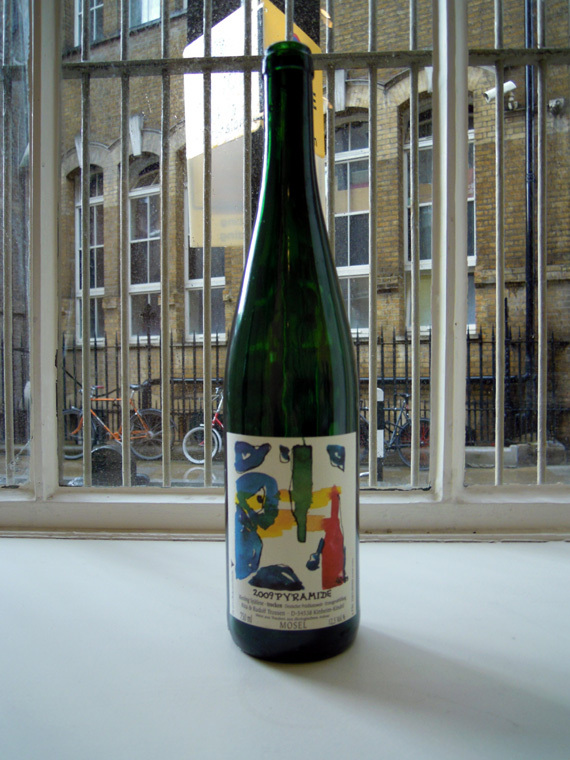 Sarah had a concert with Xentos ‘Fray’ Bentos and we both had radio live shows which broadcast from the museum on Resonance 104.4FM. 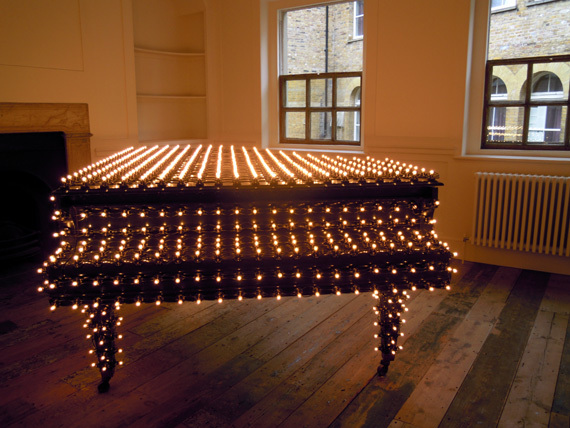 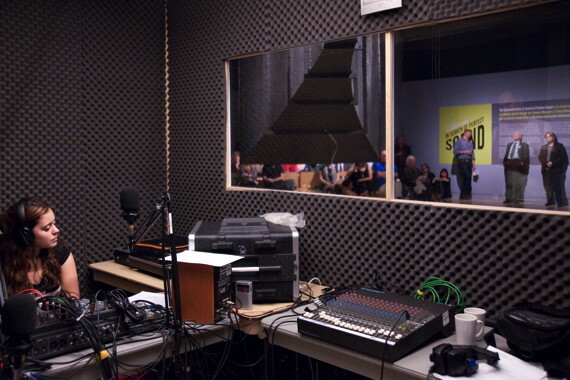 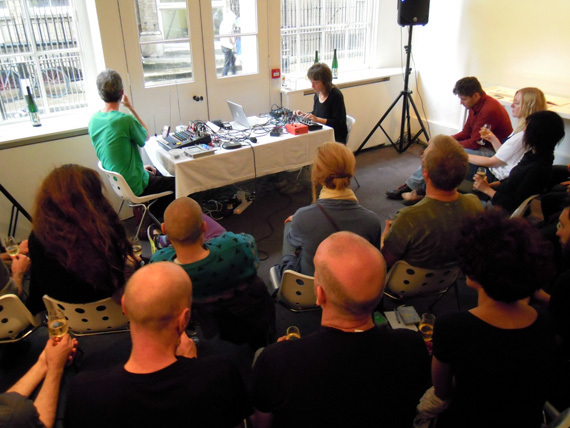 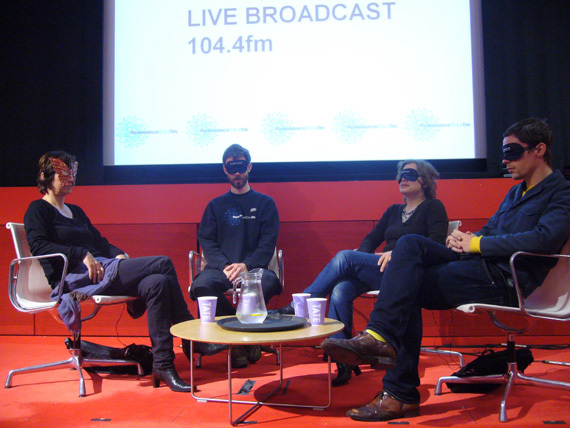 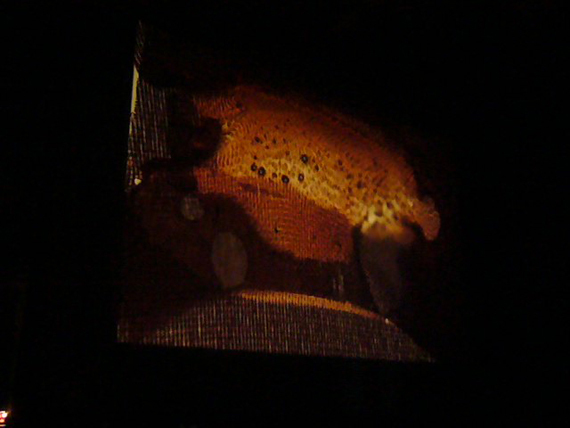 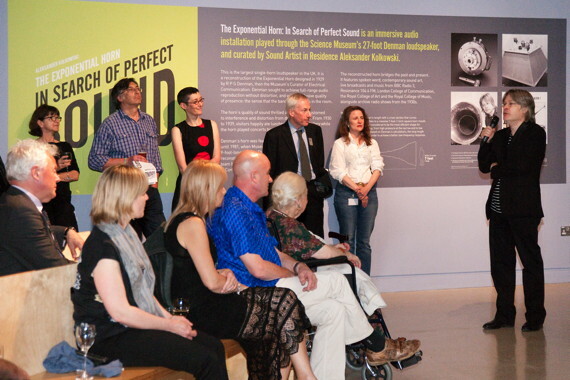 Sarah’s radio show was part of her commission from the Tate to make a radio art series. 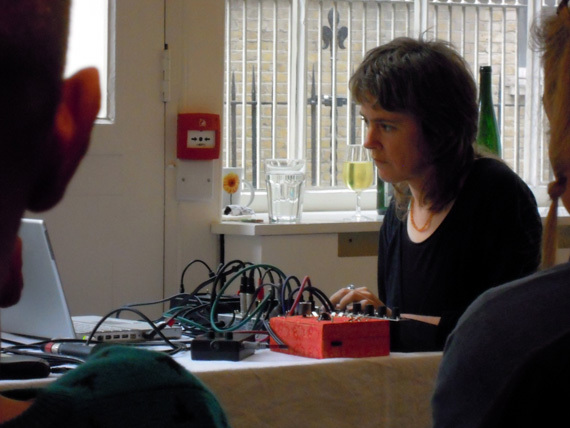 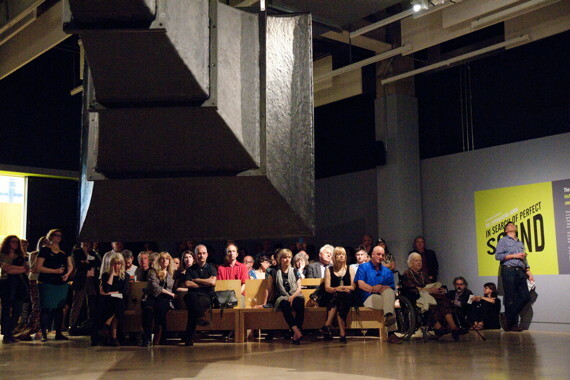 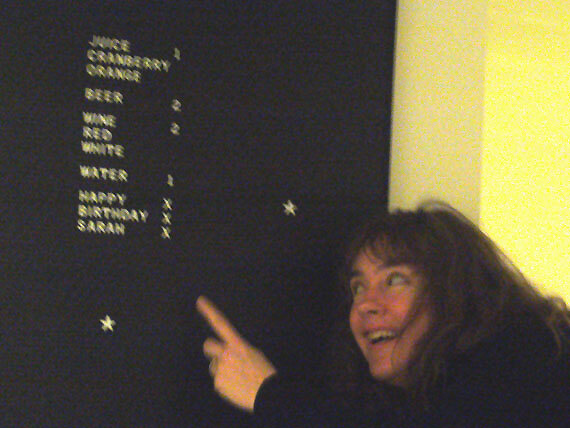 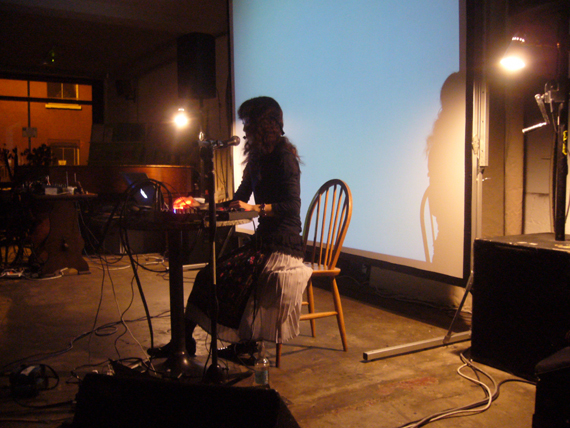 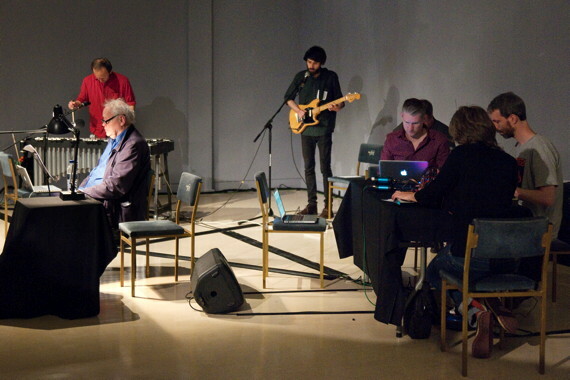 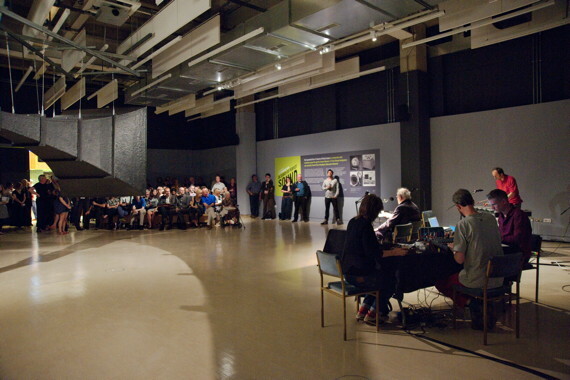 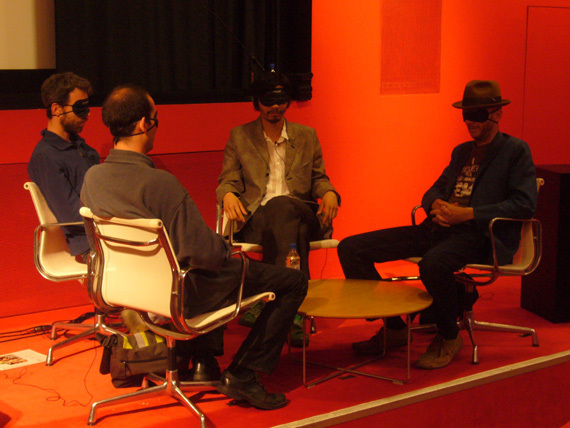 The live show which she did with Julia Lee Barclay and Apocryphal Theatre was open to the public and took the form of a language game, with participation invited from the audience. 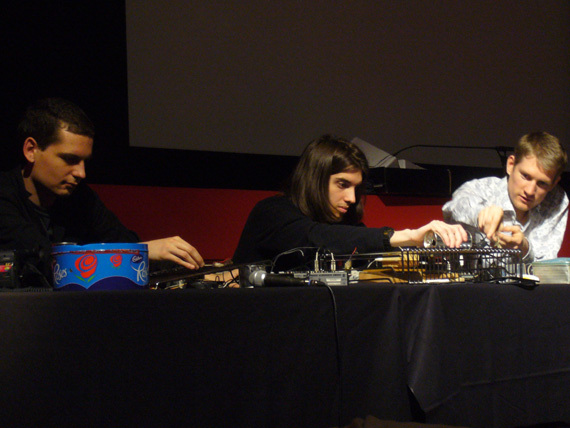 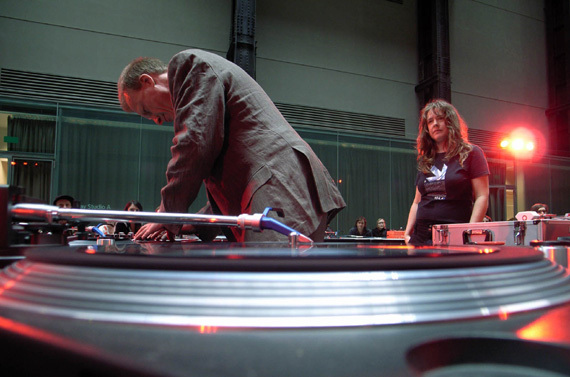 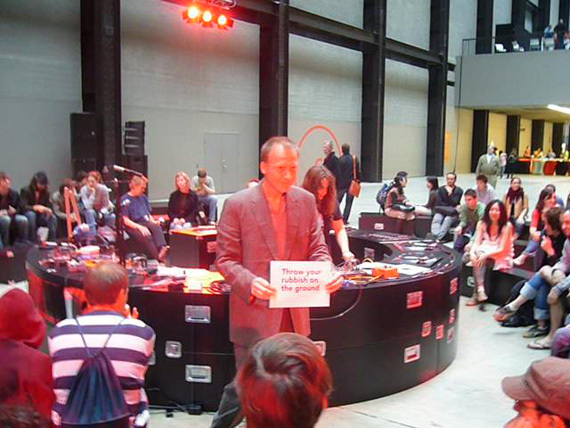 ‘The Spiral’ record deck and vinyl cutter installation set up in the Tate by Mathieu Briand was the setting for some mayhem….. 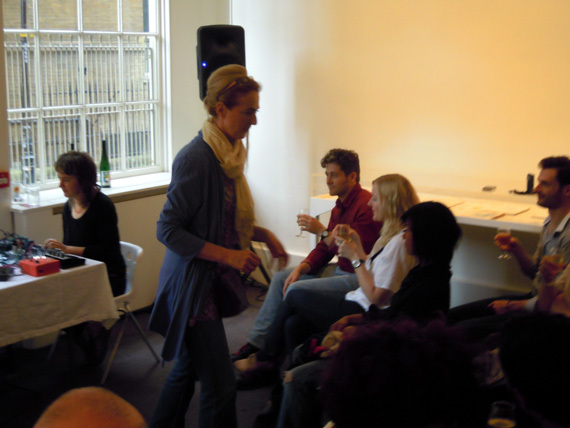 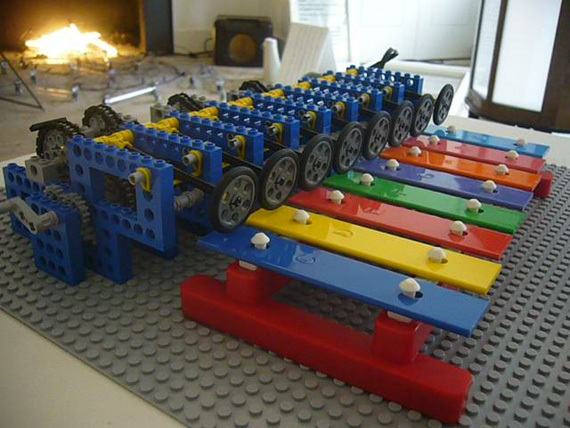 The audience have to earn their place at our performance…. 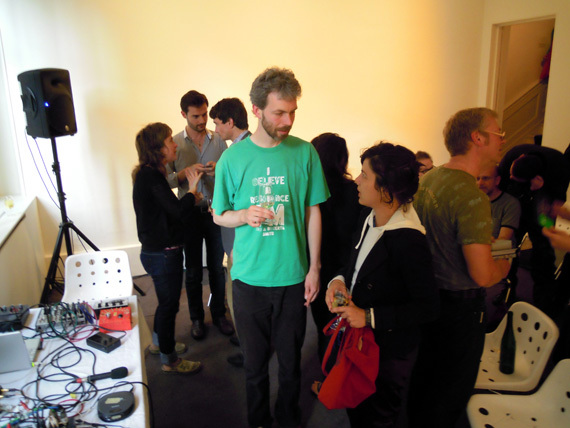 During our stay in London we played a house concert for John Wall and friends in John’s studio. 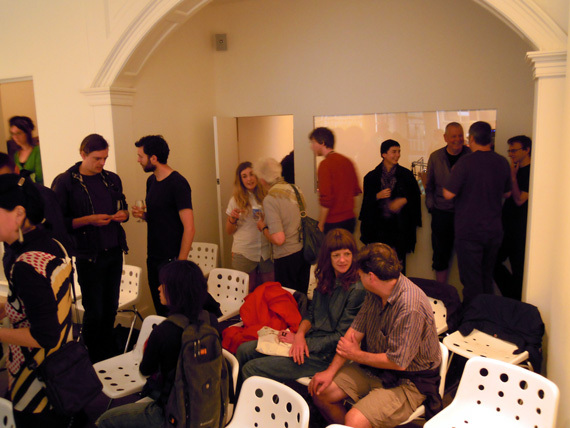 The tiny room was completely full with the addition of eight audience members, who offered a welcoming and gentle atmosphere.